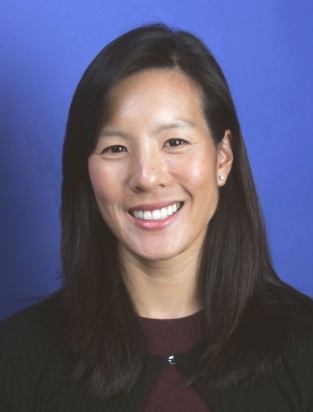 Editor’s note: This guest post is written by Aileen Lee, Partner at Kleiner Perkins Caufield & Byers. Aileen focuses on investing in early stage consumer internet ventures and previously worked at Gap, Odwalla, The Northface and Morgan Stanley. She was also founding CEO of KP-backed RMG Networks. Full disclosure: some of the companies mentioned below are KP-backed companies. You can read more about Aileen at KPCB.com and follow her on twitter at @aileenlee. It feels like we’re in a Golden Age of the web, led by consumer internet services and e-commerce. Just consider these stats: Facebook—over 600 million users. Twitter—25 billion tweets last year. Tumblr—1 billion page views a week. Zynga—100 million users on Cityville in just 6 weeks. We’re witnessing a generation of consumer web companies growing at an unprecedented rate in terms of both user adoption and revenue. But here’s a little secret that’s gone unnoticed by most. It’s women. Female users are the unsung heroines behind the most engaging, fastest growing, and most valuable consumer internet and e-commerce companies. Especially when it comes to social and shopping, women rule the Internet. Consider some more data. Comscore, Nielsen, MediaMetrix and Quantcast studies all show women are the driving force of the most important net trend of the decade, the social web. Comscore says women are the majority of users of social networking sites and spend 30% more time on these sites than men; mobile social network usage is 55% female according to Nielsen. In e-commerce, female purchasing power is also pretty clear. Sites like Zappos (>$1 billion in revenue last year), Groupon ($760m last year), Gilt Groupe ($500m projected revenue this year), Etsy (over $300m in GMV last year), and Diapers ($300m estimated revenue last year) are all driven by a majority of female customers. According to Gilt Groupe, women are 70% of the customer base and they drive 74% of revenue. And 77% of Groupon’s customers are female according to their site. Women even shop more on Chegg, which offers textbook rentals on college campuses across the country. Males and females attend college at an almost even rate. Renting would seem an equal opportunity money saver, plus it’s better for the planet. But according to Chegg, females are 65% of renters. Why? Renting requires a little more advanced planning. Chegg’s research shows women are more inclined to plan ahead than men. And, they seem to care more about saving money, and are more likely to be influenced by a friend’s recommendation. It’s no accident Amazon.com launched a program called “Amazon Mom” last year, or that they bought both Zappos and Quidsi (parent company of Diapers.com, BeautyBar.com and Soap.com) for almost $1.8 billion in total. According to the US Census Bureau, women oversee over 80% of consumer spending, or about $5 trillion dollars annually. Women control the purse strings when it comes to disposable income. That’s long been the case. But what’s different now is that there is an exciting new crop of e-commerce companies building real revenue and real community, really fast, by purposefully harnessing the power of female consumers. One Kings Lane, Plum District, Stella & Dot, Rent the Runway, Modcloth, BirchBox, Shoedazzle, Zazzle, Callaway Digital Arts, and Shopkick are just a few examples of companies leveraging “girl power.” The majority of these companies were also founded by women, which is also an exciting trend. And take a look at four of the new “horsemen” of the consumer web—Facebook, Zynga, Groupon and Twitter. This may surprise you, the majority of all four properties’ users are female. Make that “horsewomen”. How about gaming, seemingly a bastion of men in their man caves? The titan of social gaming, Zynga, says 60% of players are female. And a survey by PopCap shows females are the majority of social and casual game players. In fact, they note the average social gamer is likely a 43-year-old woman. And more women use Twitter, which has a reputation for being a techie insider’s (i.e., male) product. Women follow more people, tweet more, and have more followers on average than men, according to bloggers Dan Zarella and Darmesh Shaw’s analyses. Brian Solis’s analysis shows females are the majority of visitors on the following sites, which he calls “matriarchys”: Twitter, Facebook, Deli.ci.ous, Docstoc, Flickr, Myspace, Ning, Upcoming.org, uStream, Classmates.com, Bebo and Yelp. The one “patriarchy” site he notes, where males > females: Digg. Yes, women also rock sites like Opentable and Yelp. According to Yelp, while half of their traffic is male, the majority of contributors and ecommerce purchasers are female. And according to OpenTable, the majority of bookings are overwhelmingly made by females. Why? Likely because women drive most decisions about where to go and where to eat. Perhaps none of this is surprising. Women are thought to be more social, more interested in relationships and connections, better at multi-tasking. There is also anthropological research to back this up. Dave Morin of Path introduced me to Dunbar’s Number, proposed by the anthropologist Robin Dunbar. The number is the theoretical limit of how many people with whom one can maintain stable relationships (thought to be 150). But Dunbar’s most recent research shows there are different numbers for women than men—that women are able to maintain quantitatively more relationships within every ring of closeness than men. Knowing that is an important factor if you want to build and stoke social network effects. More female users will likely help your company grow faster. So, if you’re at a consumer web company, how can this insight help you. Would you like to lower your cost of customer acquisition? Or grow revenue faster? Take a look at your product, your marketing, your customer base. Maybe you would benefit from having a larger base of female customers. If so, what would you change to make your product/service more attractive to female customers? Do you do enough product and user interface testing with female users? Have you figured out how to truly unleash the shopping and social power of women? You could also take a look at your team. Do you have women in key positions? If you’re planning on targeting female customers, I can’t imagine why you wouldn’t want to have great women on your team. If you are already targeting female customers, have great women working in your company, and are seeing strong commerce and social network effects, congratulations. You are likely trying to figure out how to handle hypergrowth right now. Plus your office probably smells pretty good.